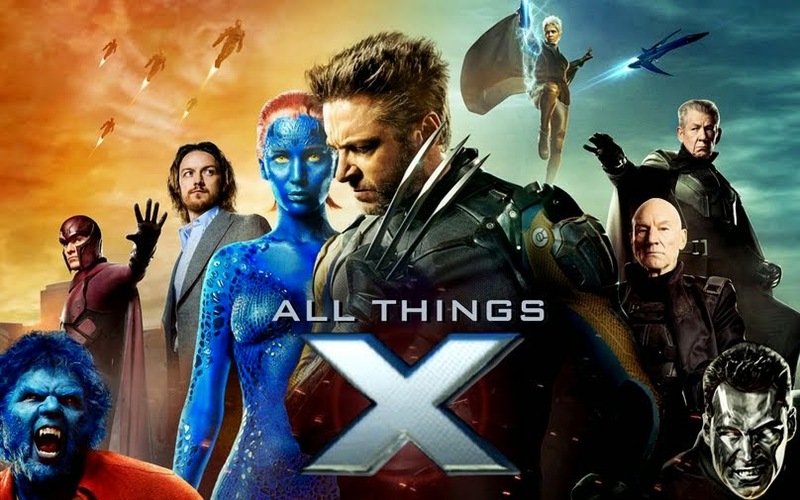 With the official announcement of X-Men: Apocalypse being the next X-Men film slated to hit theaters on May 27, 2016, my mind began racing with movie poster ideas. As in the Bible, Apocalypse in Marvel comics has his own team of underlings called the Horsemen of Apocalypse: Death, War, Pestilence & Famine. 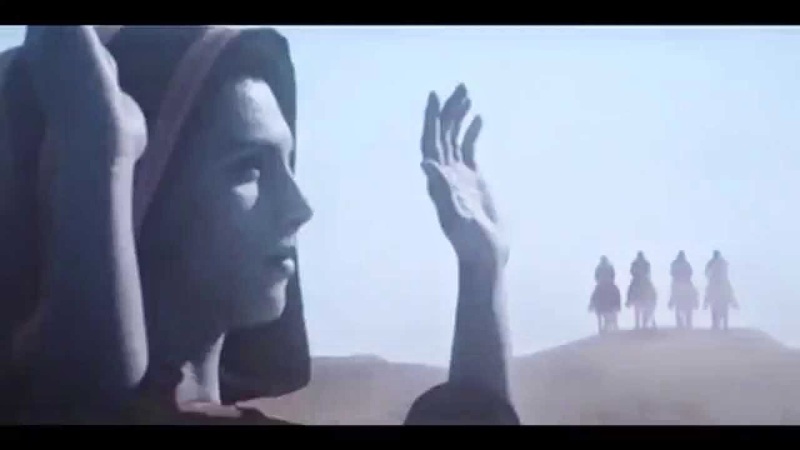 You got a small glimpse of En Sabah Nur's horsemen in the end-credits scene of X-Men: Days of Future Past. (>) Several characters across the Marvel universe have been genetically altered & brainwashed by Apocalypse to serve him during various times, either willingly or by force. Over time, characters like Gambit, Archangel (Angel), Psylocke, Banshee, Polaris, Hulk, Mister Sinister, Wolverine & his son Daken have all done En Sabah Nur's bidding as his horsemen. So I began thinking who the writers might make as Apocalypse's fearsome foursome for the X-Men movie-verse. I settled on four characters who I thought would be the best bet story-wise & visually as the horsemen. But why Lupita Nyong'o though you ask? I say why the hell not? X-Men: Apocalypse will be set in the year 1983. This will mean we'll get to see younger versions of characters seen in the original X-Men trilogy. The writers & producers have already hinted they'd love to see Storm, Jean Grey & Cyclops in the film as their younger selves. Lupita is Kenyan AND an Academy Award wining actress. An African accent will come easily to her, something Halle has struggled with from the start, & she'll be able to portray the power & emotion of Ororo perfectly onscreen. It's also nice to see that many other fans want #LupitaForStorm as well. Hopefully after seeing her performance in Star Wars Episode VII next year, Fox will sit up & finally take notice. For the look of Storm I decided to go for her mohawk avatar. The hairdo would suit Lupita right on, in fact she's sported a mohawk of her own too & the younger Storm would dig the punk look in my opinion. For her costume I just modified the outfit she wore when she first sported the mohawk (she wears the same hairstyle currently in the comics ever since Marvel NOW! began). I wanted her to have a more imposing look so changed her sleeveless leather jacket to a leather trench coat & also switched her shirt for a stylish corset. I'm gonna start working on my next poster soon, but I won't yet reveal who my other horsemen candidates are. Let me know about your guesses in the comments. 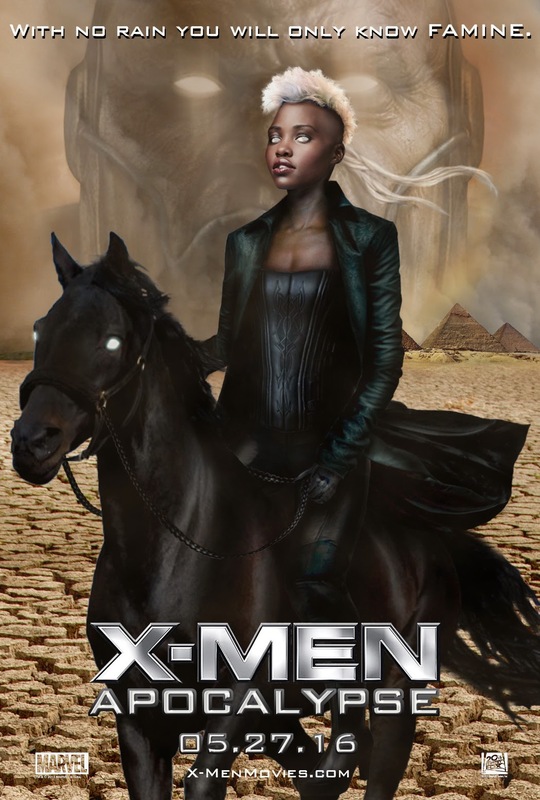 What do you'll think of the poster & of Lupita as Storm? Sound off below.